Our new film tells the story of Paul from North Somerset, who made a quick and full recovery from sepsis as a result of NEWS (the National Early Warning Score) being communicated at every handover of care. We are working with all members of the West of England Patient Safety Collaborative to encourage the use of a single early warning score – NEWS – across the region. All the acute trusts, out-of-hours GP services, mental health trusts, community service providers and clinical commissioning groups (CCGs) in the West of England have signed up to support the adoption and spread of NEWS, and communicating this score at the interfaces of care across the system. 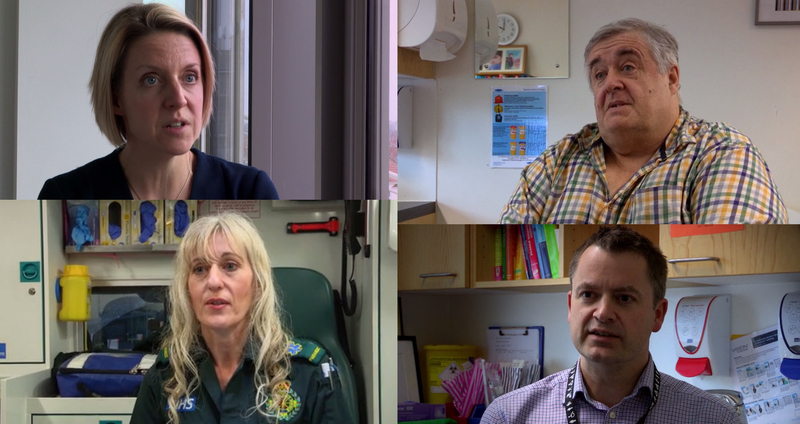 We now have a number of examples of patient stories from across the region where NEWS has been used to assess and trigger responses across patient pathways and ultimately improving outcomes for those patients. One of these examples was Paul, a patient in North Somerset who visited his GP with cellulitis but felt very poorly. The GP used NEWS to assess that the patient was acutely unwell and needed rapid treatment. NEWS was used to track the patient’s condition from primary care through to the ambulance and into the Emergency Department, and clearly showed at each handover that he was deteriorating. This patient had sepsis but thanks to the early detection of his condition in primary care, it was treated within five hours of seeing his GP and he made a quick and full recovery. We have produced a short film to tell this story. Why we can and should adopt NEWS: read this blog post by Steven West, chair of the West of England AHSN.